The first part deals with technical initiatives how a precautionary approach is, and can be applied. It also summarizes the main considerations leading to the development of precaution-based reference values. The main aim of these reference values is that employers are triggered to develop risk management measures (RMM). The workshops provides then input for the identification of easy-to-use methodologies for responsible risk management for small and medium enterprises (SME’s). Relevant in this respect is the notion that nowadays MNMs are used and consequently exposure may occur, while accepted risk management methodologies are not available for these SME’s. These outcomes will be used for the Nanodiode workshop in Bologna on November 26th. The second part of the workshop proposes initiatives and identifies steps forward to increase the acceptance of the precautionary approach developed for nanomaterials. These outcomes will be used in the dialogue of the Nanodiode project with the European Commission. What strong and weak points can be identified in the presented frameworks ? 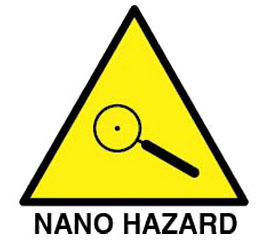 Is it advisable to aim for a uniform European precautionary approach for nanomaterials’ risk assessment? What should be done to make the approach acceptable for relevant stakeholders (including e.g. industry and Member States)? What elements of the precautionary approach are relevant for communication in the product chain and to relevant stakeholders? How should communication on these elements be optimized?